When presented with financial difficulties, it can be temping to borrow money from your retirement funds. Any money you pull out of a 401(k), IRA, or Roth IRA means that your investment won’t be able to grow until you pay the money back into those plans. Your retirement investment could be missing out on potential tax-deferred compound growth. You can invest in all or one if you choose. Part of your considerations should include borrowing from your funds. There may come a time, whether its something planned or unexpected, such as a loss of employment or a health reason, where taking a loan from your retirement account is necessary. What’s the difference between these plans? A Roth IRA is a special type of retirement plan that is generally not taxed. A 401(k) is a type of retirement savings account. The name comes from subsection 401(k) of the Internal Revenue Code (Title 26 of the United States Code). 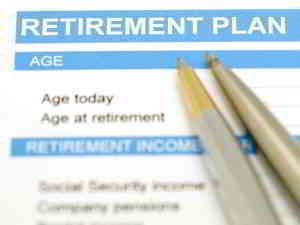 Many employers offer 401(k) plans as a retirement investment. With a 401(k), you can make tax-deferred contributions. The contributions are deducted from your paycheck before taxes, and are taxed when a withdrawal is made from 401(k) account. Most 401(k) plans allow loans, but the lending is governed by a set of strict rules. For example, you typically can’t borrow more than $50,000 or 50 percent of the value of your 401(k). Also, you will have to start repaying the withdrawal at your next pay period. The amount of time you have to pay back the loan from your 401(k) varies depending on the reason for the loan. Keep in mind that making a withdrawal from your 401(k) should be the last option when it comes to any lending solution. In addition to the loss of possible compound growth, should you lose your job, you will be required to pay back the loan amount immediately. If you don’t, the Internal Revenue Service (IRS) will treat the loan as if it were an early distribution. This means that there would be a ten percent early withdrawal penalty in addition to income taxes. An individual retirement arrangement (IRA) is a form of retirement plan that provides tax advantages for retirement savings. An IRA isn’t just an individual retirement account. It also can be a trust or custodial account set up for the exclusive benefit of you or your beneficiaries or an individual retirement annuity. An individual retirement annuity is when you purchase an annuity contract or an endowment contract from a life insurance company. When it comes to borrowing your investment in an IRA, such borrowing is prohibited except if it is a self-directed IRA. This is a type of account which allows you to use your retirement assets as collateral for a loan on certain types of real estate. This type of loan option is still dangerous. While its not as risky as borrowing from your 401(k), you are taking money out of your (presumably) diversified retirement portfolio to invest it in a single asset (real estate). A Roth IRA is a special type of retirement plan that is generally not taxed, provided certain conditions are met. The tax law of the United States allows a tax reduction on a limited amount of saving for retirement. The Roth IRA’s main difference from most other tax advantaged retirement plans is that a tax break may be granted on money taken out of the plan during retirement. You can invest in either a Roth 401(k) or a Roth IRA. For both types of plans, withdrawals don’t count toward Social Security tax. With traditional 401(k)s, withdrawals are taxed at regular income tax rates. Also, a Roth IRA isn’t subject to mandatory withdrawals at age 75. There’s no sure way to predict where tax rates will be when you retire. This is why you are better off investing in a mix of traditional and Roth investments. Which ones are the best fit for you? AmOne can help you to find those answers. Our experienced associates are ready to answer your questions on investing, retirement, financial planning, and more. AmOne offers solutions; your call to us is free and we won’t try to sell you anything. Find out how to reach us and learn more about how AmOne can help you today.